The course Supervised Machine Learning Using SAS Viya combines data exploration, visualization, data preparation, feature engineering, sampling and partitioning, model training, scoring, and assessment. It covers a variety of statistical, data mining, and machine learning techniques performed in a scalable and in-memory execution environment. 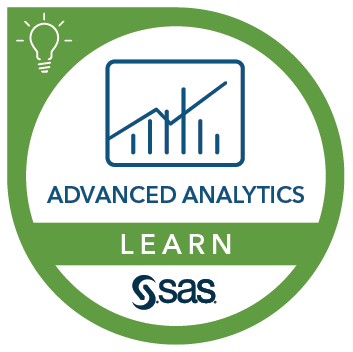 This course provides theoretical foundation and hands-on experience with SAS Visual Data Mining and Machine Learning through SAS Studio, a user interface for SAS programming. The course includes predictive modeling techniques such as linear and logistic regression, decision tree and ensemble of trees (forest and gradient boosting), neural networks, support vector machine, and factorization machine. Before attending this course, you should have a minimum of an introductory-level familiarity with basic statistics. SAS experience is helpful but not requited. Coding experience is helpful but not required.